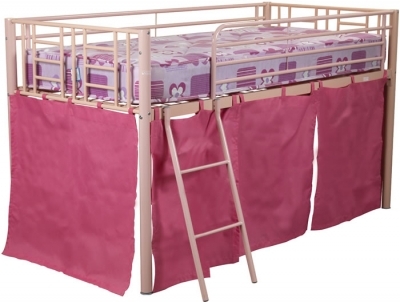 The Sweet Dreams Twinkle mid sleeper metal bed frame in a pink finish is supplied with an under bed play tent curtain and reversible ladder. For maximum bedroom layout requirements the sturdy metal 2 step ladder can be positioned to the front left or right side of the mid sleeper frame. 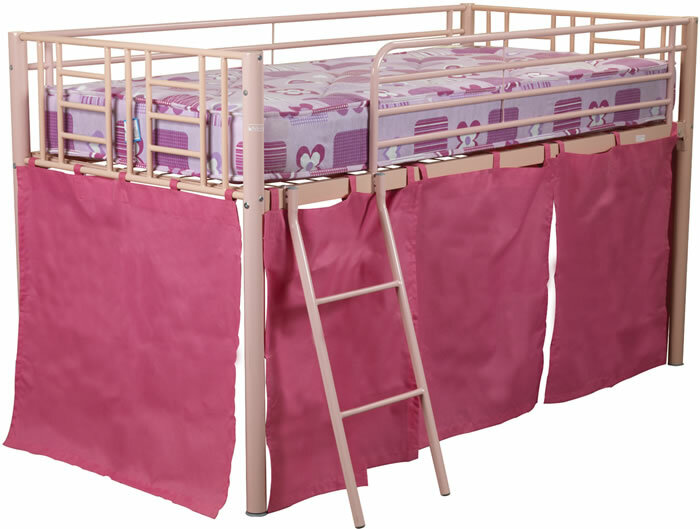 The Twinkle under bed play tent covers three sides of the bed frame offering your child a great secret play area and additional bedroom storage. For the safety of you child the Sweet Dreams Twinkle mid sleeper bed is to be used with a mattress of no more than 17cm in height.